With Father’s Day coming up, the question is what to get Dad that he’ll enjoy? How about a nice bottle of Cabernet Sauvignon or Port, he likes that stuff, and then we toast “To Dad!” The best part about this? I get to enjoy it with him! To top it off, I’ll take him out, “Back away from the grill Dad!” We’ll go to Meritage for the Father’s Day Roast and Buffet, and someone else can do the dirty work. Check out these Callaway Cabs and get some ideas for dad. 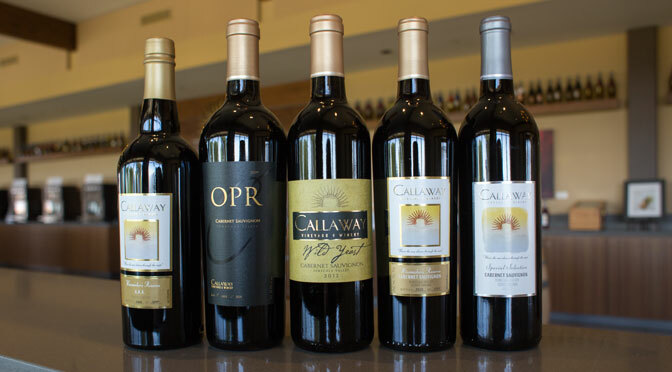 2009 Winemaker’s Reserve OPR – Wine Enthusiast Rated 92 Points – Deep, dark and intense in both color and bouquet, this is a classic ‘California Cab’. Blackberry, cassis, pepper and milk chocolate aromas link to the nuances of inky plum and palate coating jammy, black fruit. Dusty tannins are refined yet powerful, enhancing the spicy finish of black licorice and anise. 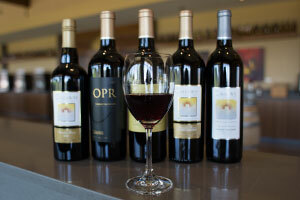 2012 Special Selection Cabernet Sauvignon– Gold Medal – Blackberry, earthy, dried herbs, red currant and cherry notes. Raspberry, blueberry and dark cherry flavors. Supple tannins on the finish. Pairs well with with filet mignon or lamb chops. 2012 Wild Yeast Cabernet Sauvignon – Silver Medal – A host of dark red and black fruit aromas create a lush impression of dried blueberries, dark cherry and small black currants with liberal lashings of baking spice. The palate reflects these ripe characteristics, highlighted by touches of Black Mission Fig, dark chocolate, powdery tannins and a long, clean mineral-rich finish. 2012 Winemaker’s Reserve Cabernet Sauvignon – Bold in color and character, our Reserve Cab is full-bodied but, oh, so easy to sip! Soft whiffs of toast are served up with dark red and black berries, currants and chocolate covered blueberries. Add in soft spice, vanilla bean and black tea leaf on the tasty finish and you’ve got a wine to savor. Click here to learn more about these wines. For information about Father’s Day Roast & Buffet at Meritage, click here.